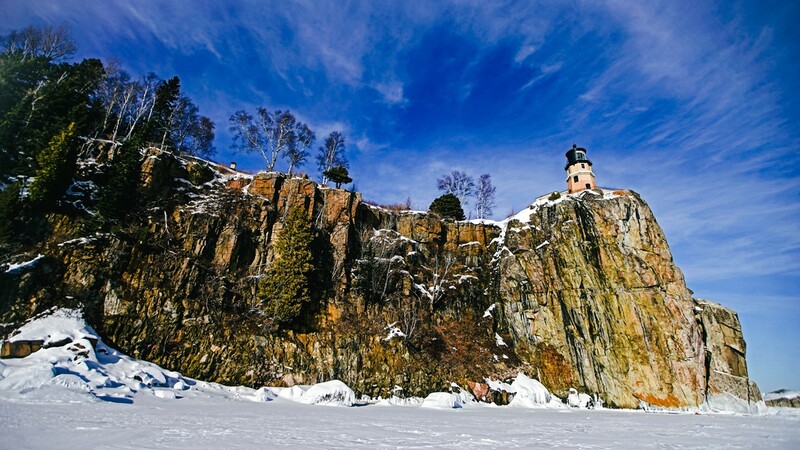 Lee Radzak is winding down a 36-year stay at this Lake Superior gem. 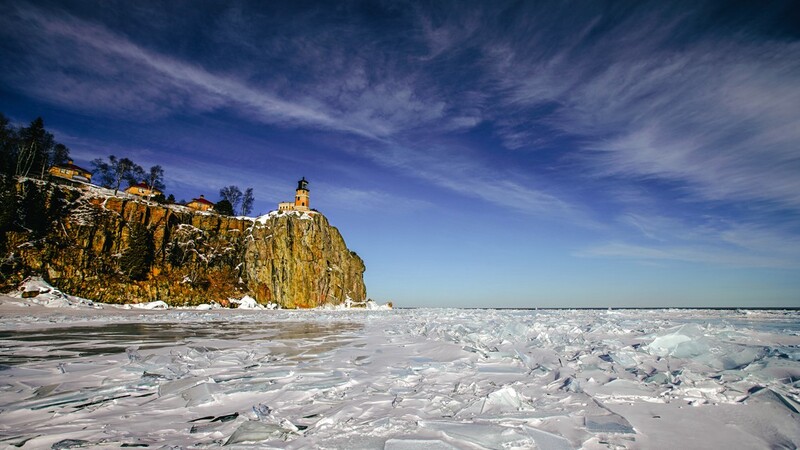 TWO HARBORS, Minn. — After 36 years, Lee Radzak hasn’t tired of his view. Soon, Radzak’s view will be changing in a more substantial way. 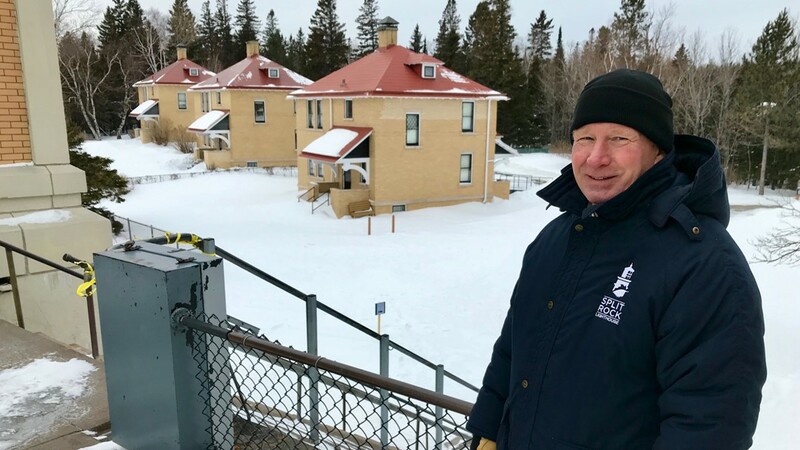 Next month, Split Rock’s longest-serving keeper will retire. Radzak was 30 and a Twin Cities-based archaeologist with the Minnesota Historical Society when he was chosen as the 40th keeper of the Split Rock Lighthouse. 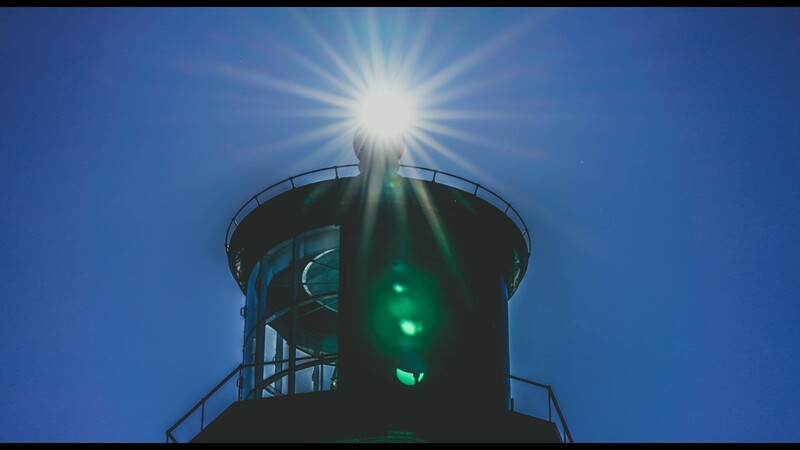 In keeping with tradition, Radzak moved into a brick home a few feet from the lighthouse, just like the keepers who preceded him. During those 36 years, Lee and Jane Radzak welcomed two children who grew up with everyone else's vacation destination in their backyard. 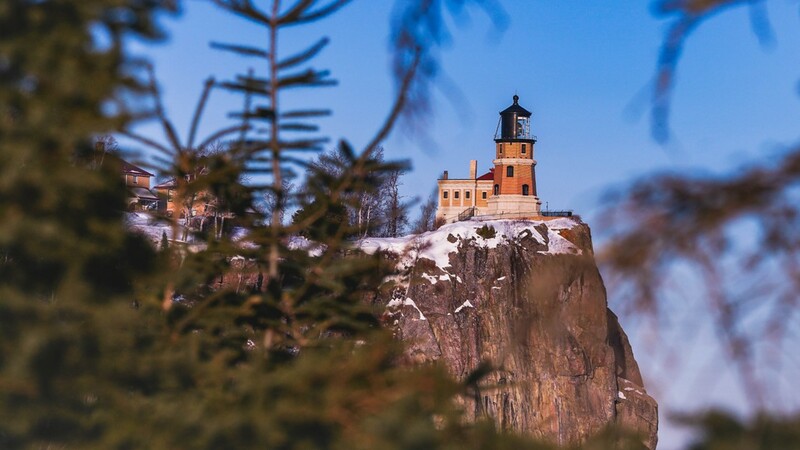 Thirty-five keepers resided at Split Rock before 1969, when the lighthouse was retired from navigational service. 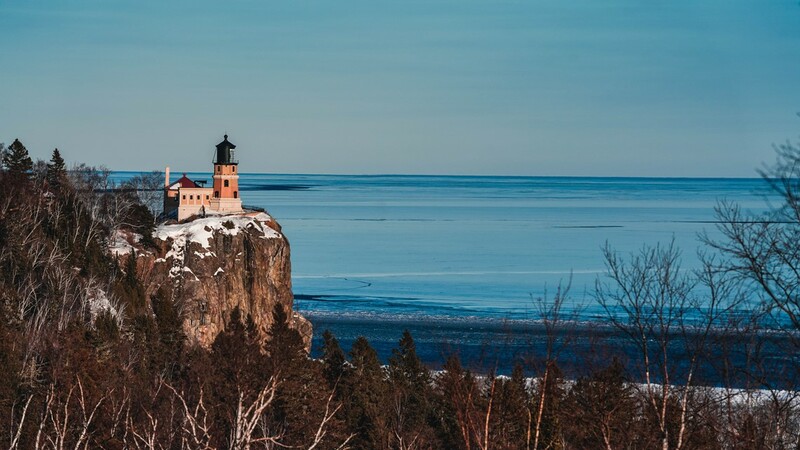 During Split Rock’s active years, three keepers took shifts pulling the weights that spun the giant Fresnel lens. 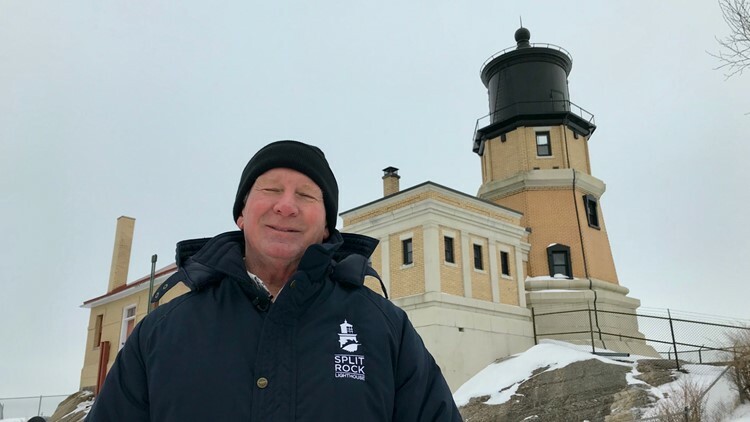 “We had a head lighthouse keeper, first assistant keeper, second assistant keeper – homes for each of them and their families,” Radzak says. Now, just one set of backsteps remains shoveled at the side-by-side homes. “Just my wife and I and the cat right now,” Radzak says. One of the adjacent homes has been restored for tours, while the other is used for storage. Radzak thinks often about the keepers who climbed the lighthouse’s spiral staircase before him. “Pete Young was the first head keeper that served at Split Rock - 1910 to 1928,” he says, shuffling through old black and white photos. 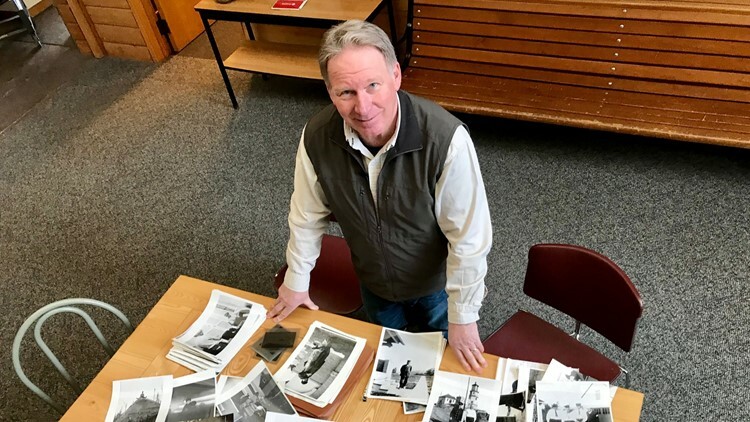 Lee Radzak poses with photos of some of the 39 lighthouse keepers who came before him at Split Rock. Radzak won’t name each of the 39 keepers before him, but as he rattles off one after another, it seems like he could. 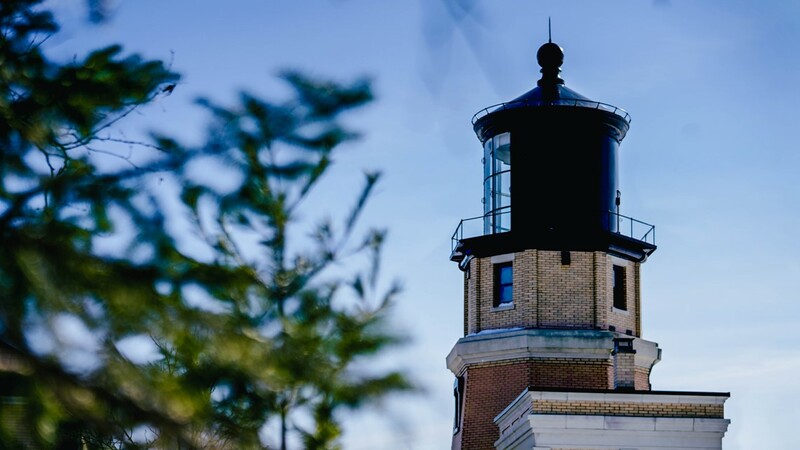 When they weren’t operating the lighthouse, maintenance filled the days of the earliest keepers. Resourcefulness was part of the job. “They shot deer in the forest and they had gardens here,” Radzak says. 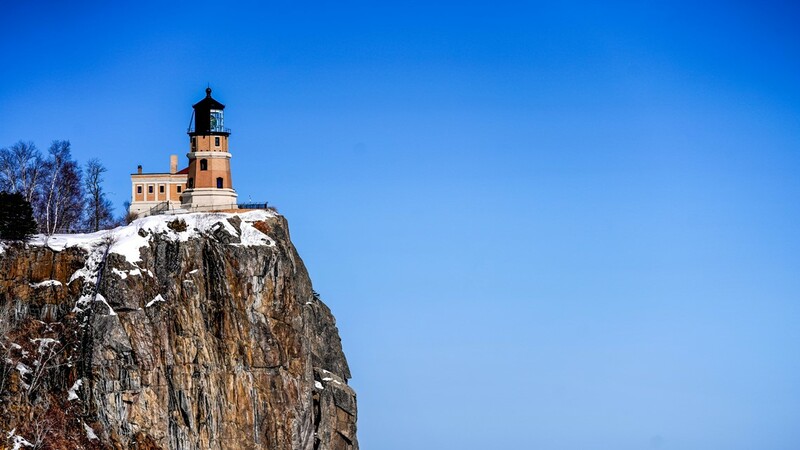 In the earliest days, roads to the lighthouse were non-existent. “Just to get the mail it was a five-mile boat ride taking the skiff and rowing to Beaver Bay,” Radzak says. The children of the keepers grew up in the ultimate playground. Pictures from the era show them playing along the Lake Superior shoreline, same as the Radzak kids. 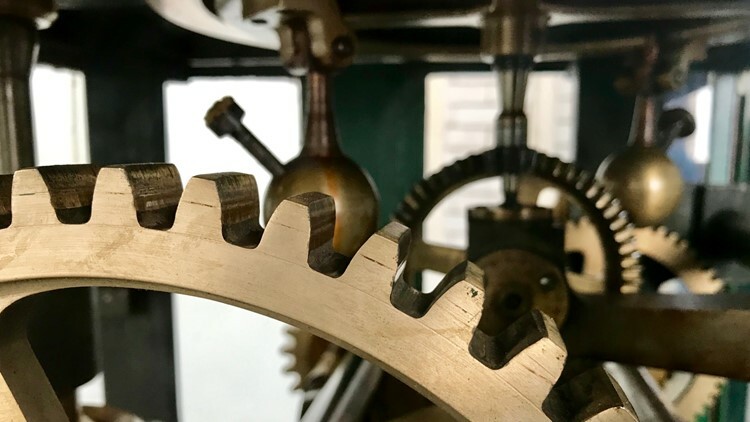 The grounds abound with similar past-to-present connections, including the ring in Radzak’s pocket, on which skeleton keys dangle next to a Toyota fob. Still, the connections only go so far. 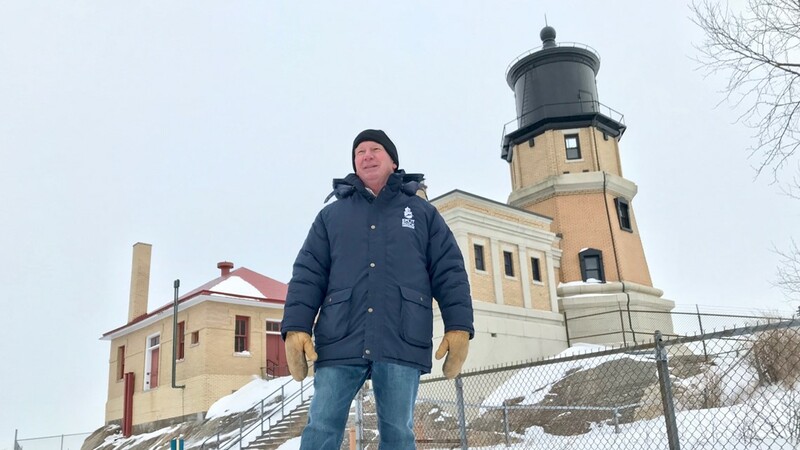 As Split Rock’s historic site manager, Radzak’s duties have been more tourism-related than navigational. April 12 will be Radzak’s last day at work. 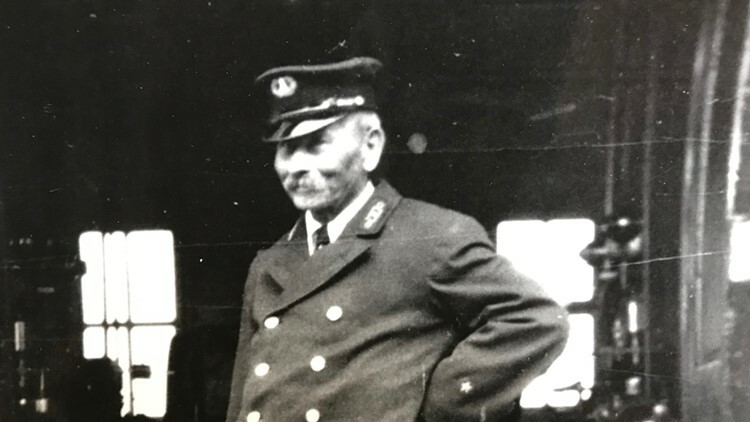 His second-in-command will take over as interim site manager while the historical society begins a formal search for Radzak’s replacement. Leaving his job also means Lee and Jane Radzak must move from their home. Leaving Split Rock will be easier for Radzak, knowing the gate will still swing open. “We can come back anytime,” he says. 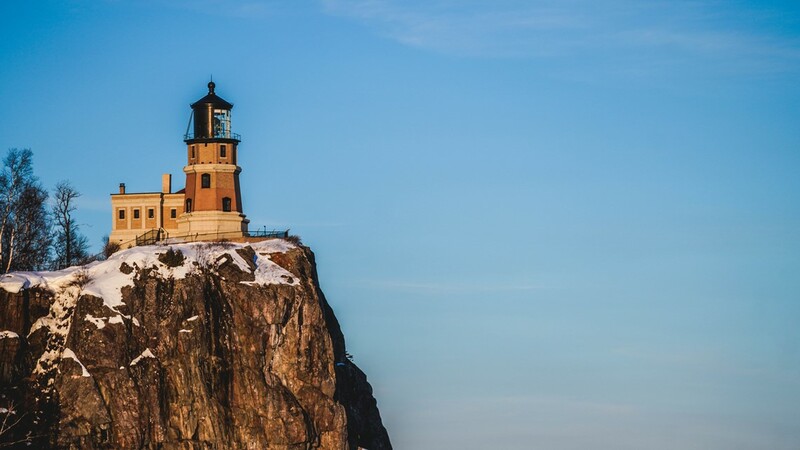 Split Rock will leave a light on. The sun shines upon the Split Rock Lighthouse. Lee Radzak with the three keepers' homes at Split Rock Lighthouse. Watch more of Boyd Huppert's Land of 10,000 Stories below. On a mobile device you can watch more Land of 10,000 Stories here. Submit your story ideas to Boyd by filling out the form below. App Users, if you are having trouble seeing the form, please click here.